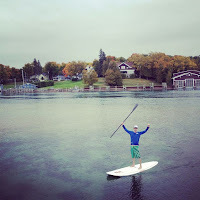 Are you planning a trip to Charlevoix, but aren't sure where to start? Are you a resident looking for ways to entertain your summer company? 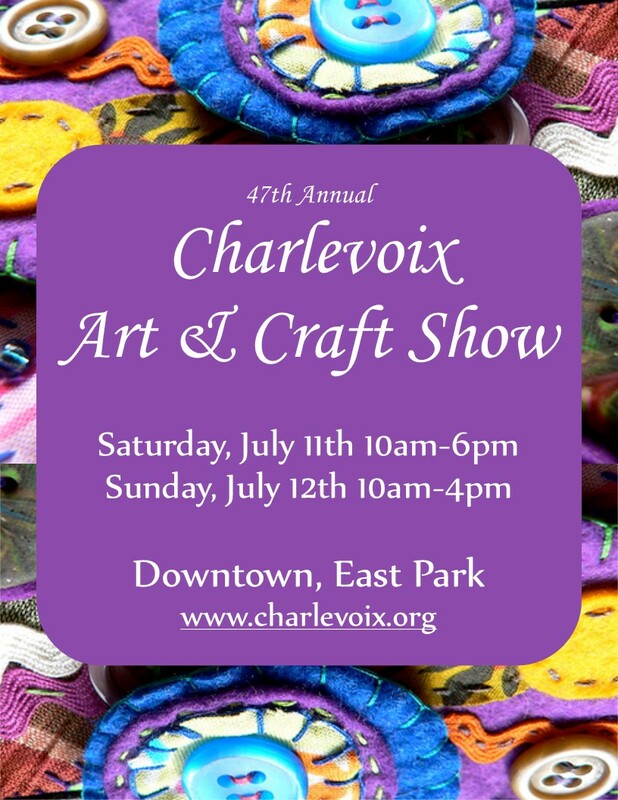 Your itinerary is laid out for you, with three days worth of activities to occupy your time and get the most out of your stay in Charlevoix! 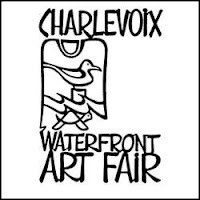 Visit the Harsha House museum and discover Charlevoix's unique history. 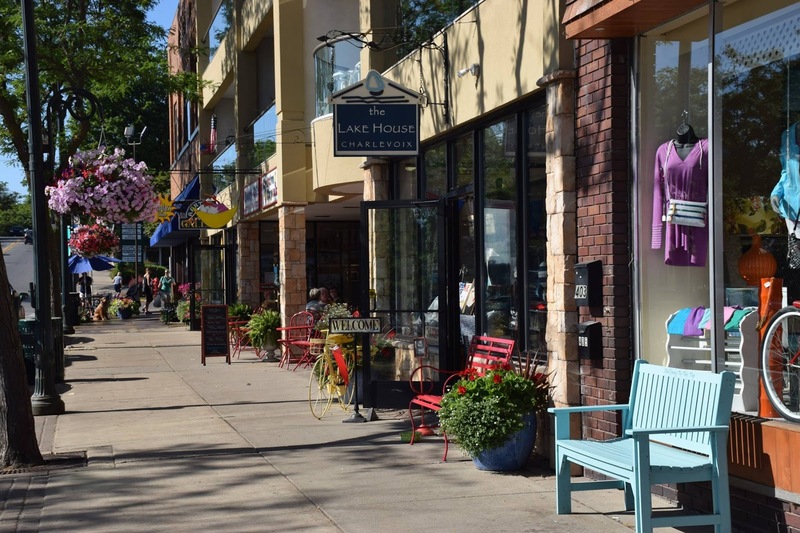 Shop downtown Bridge Street for clothing, home decor, accessories, books, and more! Click HERE! Have dinner and a view of our famous drawbridge at the Stafford's Weathervane, or The Drawbridge Bistro. For menu guides of Charlevoix's restaurants for any meal, click HERE! 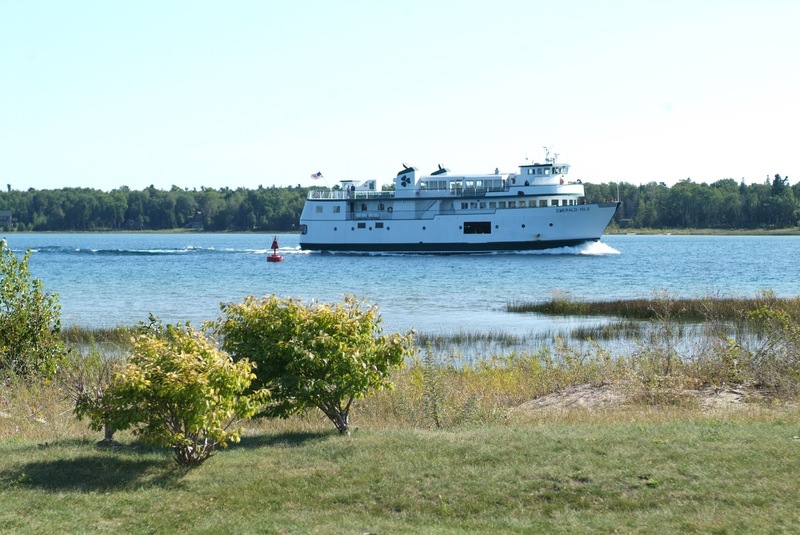 Take a sunset cruise on the Keweenaw Star or on a catamaran with Sunshine Charters. 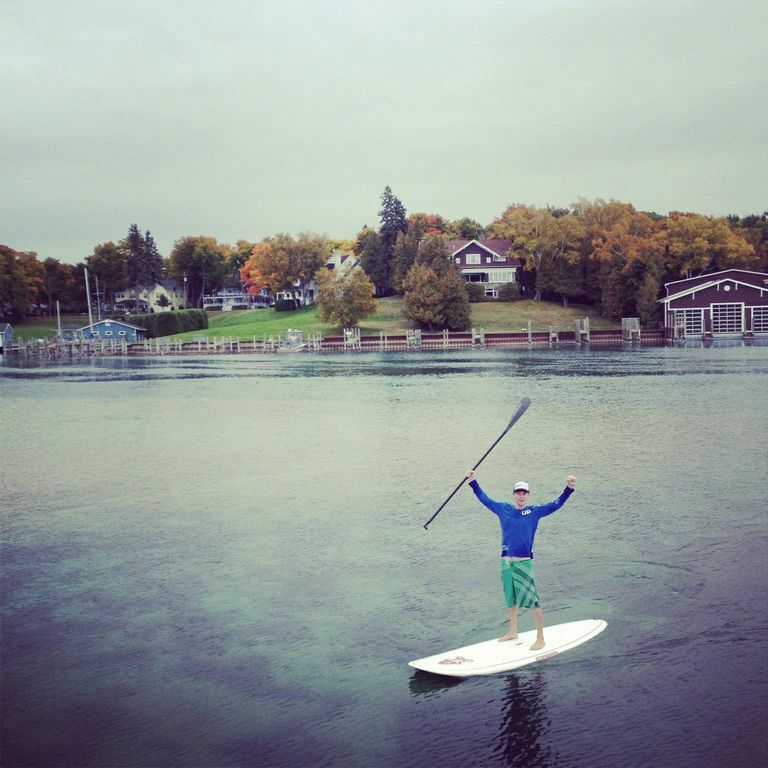 Rent canoes, kayaks, or paddle boards and explore the beautiful lakes of Charlevoix, or paddle and tube down the Jordan River! Click HERE and visit www.schulmanpaddleworks.com for more info. Hunt for Petoskey stones at one of our local beaches! 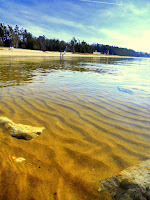 Click HERE for the history behind them and for the list of beaches to search at. 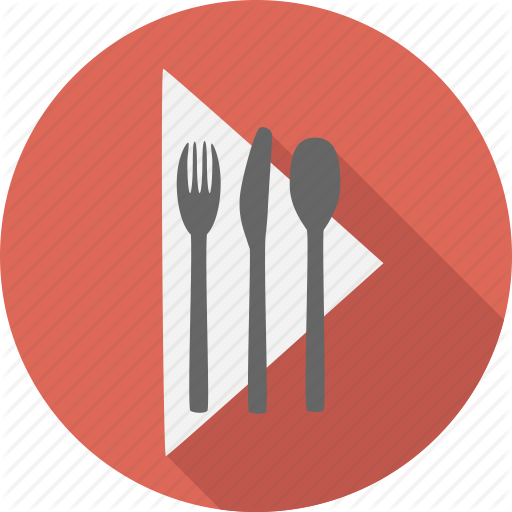 Have dinner and entertainment at the Bridge Street Tap Room, Lake Charlevoix Brewing Company, Roadhouse 757, Grey Gables, or East Park Tavern. 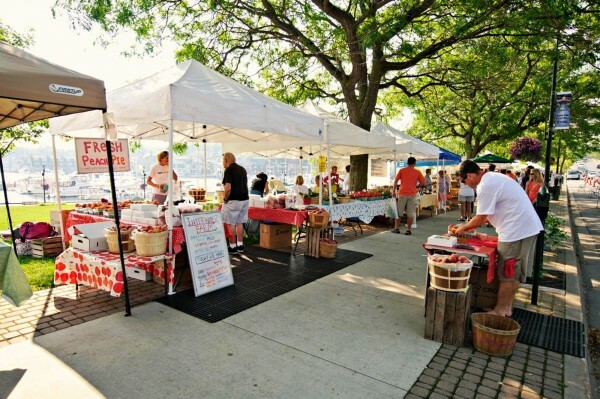 Treat yourself to an ice cream cone or other sweet treats at one of these shops! Click HERE. Start out your day with coffee and a pastry from Cre8tive Cupcake! Tour the historic Castle Farms property! Bike the Little Traverse Wheelway. 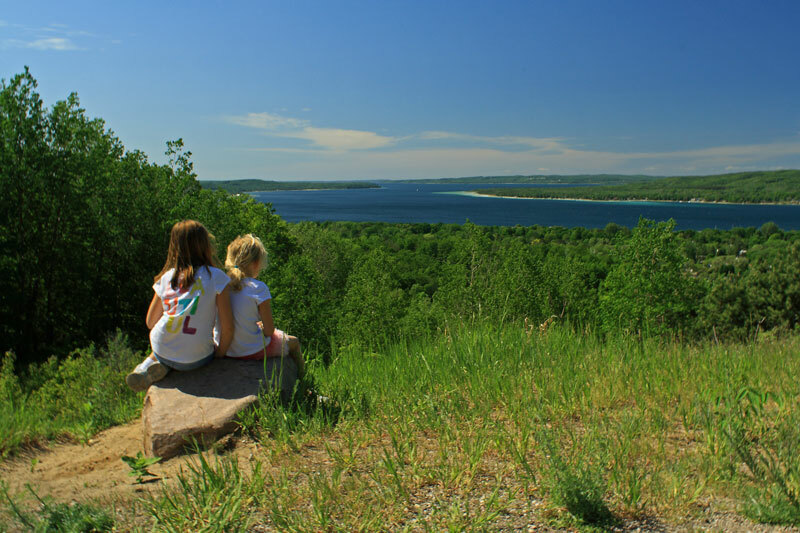 For more info on a variety of types of trails in the area visit www.laketolaketrail.com or www.upnorthtrails.org. 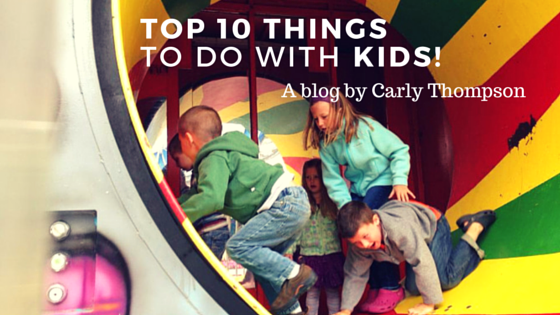 Visit our public library for some good reads and activities for the entire family! Take a stroll down the pier to see the historic lighthouse. 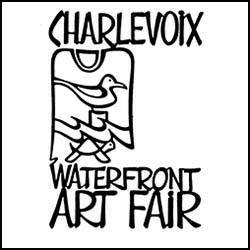 Visit our complete Business Directory and online Visitors Guide for more information on things to do in Charlevoix, or visit our website at www.charlevoix.org! There's one more month left of summer before the leaves change and the cold rolls in, (insert groans here). 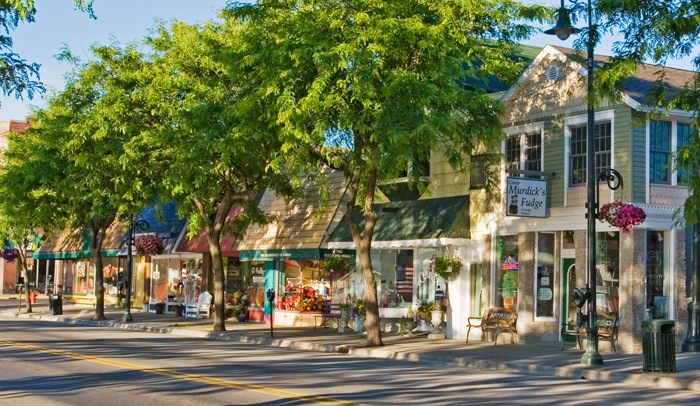 Though the Michigan climate may be fickle, the picturesque beauty and charm of Charlevoix can be found nestled in several of our unique art galleries year round. No matter what the weather, the treasures you'll find at our galleries will make your day more vibrant and provide something for the art lover in all of us, local and visitor alike! Interested in having a picture framed or need a photographer to take senior or family pictures? The Aartvark is a photography studio and gallery that offers custom framing, printing & many types of photography/video services: weddings, events, senior portraits, families, architecture, business portraits and more. Stop by and visit the link above for more information! 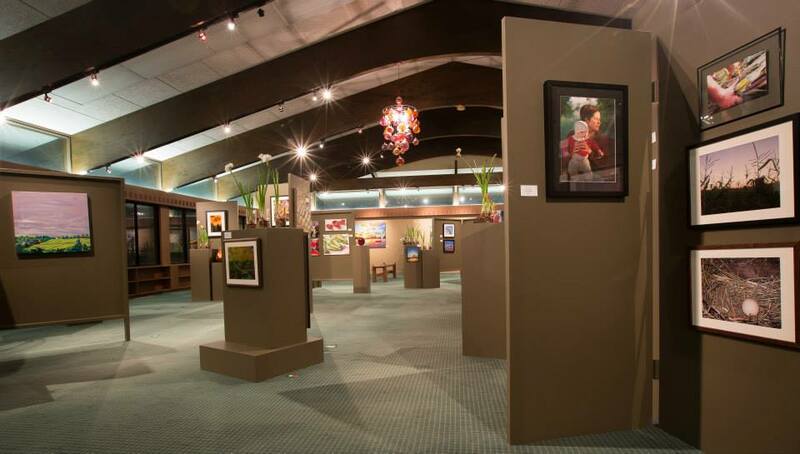 Come visit the Circle of Arts and walk through unique exhibits year round! The Circle also offers classes in the fine arts: music, dance, theater and more throughout the summer months and into September, as well as lectures and dramatic performances! 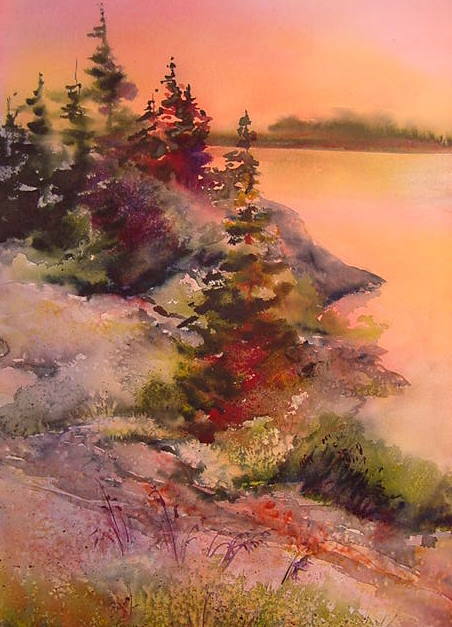 An Up North State of Mind exhibit is running now through September 20 featuring paintings by local artists! In conjunction with the exhibit will be a plein air paint out and wet paint sale. Stop by and visit the link above for more information! 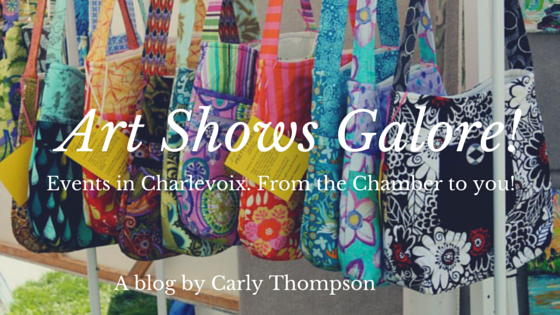 Elements Gallery houses unique home and personal accessories handcrafted by over 150 American and Canadian artists! 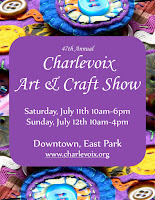 Features an eclectic mix of functional and fine art from local artists and Michigan artists as well. Stop by and visit the link above for more information! 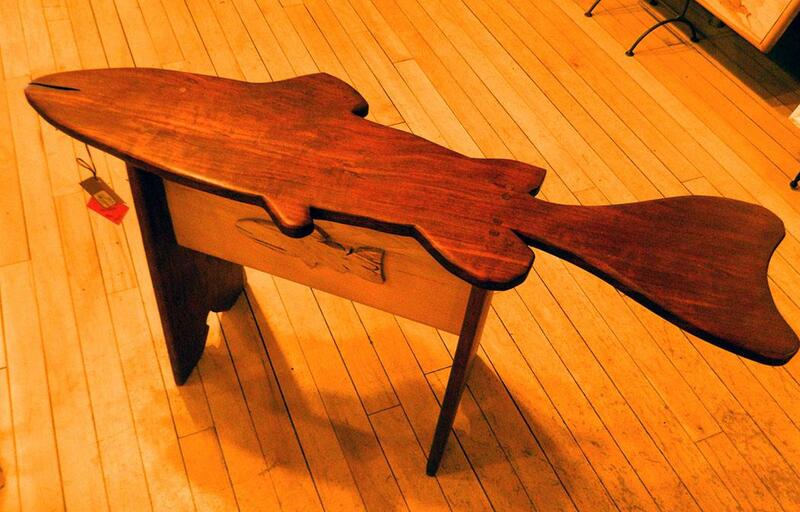 Lit Fish is the summer art studio for John G. Posa. 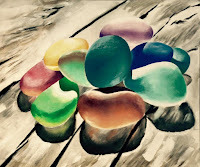 It features prints, paintings, and other mixed media pieces by Posa as well as other artists! Stop by and visit the link above for more information! Looking for the perfect painting to hang above your mantle, or an antique cabinet to hold all of your grandmother's china? Stop in North Seas Gallery and browse through their selection of paintings from all over the world, beautifully crafted antique furniture, as well as sculpture, glass and ceramic pieces. Stop by and visit the link above for more information! 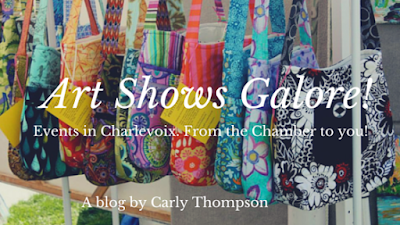 A colorful and creative location that showcases local Michigan artists as well as artists from around the globe; some as far away as Peru, Guatemala, and South Africa! The unique artwork sold ranges from paintings and furniture to jewelry and accessories, with prices anywhere from $3 to $6,000! Round Lake Gallery is also the start and endpoint for the Earl Young Mushroom Home walking tours, stop in and pick up a brochure! 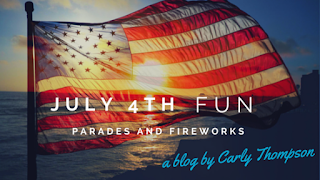 There's something for everyone all year long. Stop by and visit the link above for more information! Check out the Bier Gallery inside the iconic red and white schoolhouse! The Bier Gallery is home to over sixty regional and national artist, making the selections diverse and unique. The Bier Gallery features pottery, sculpture, glass and metal works, mixed media/fiber, wood, jewelry, and 2D pieces! Visit the link above for more information! 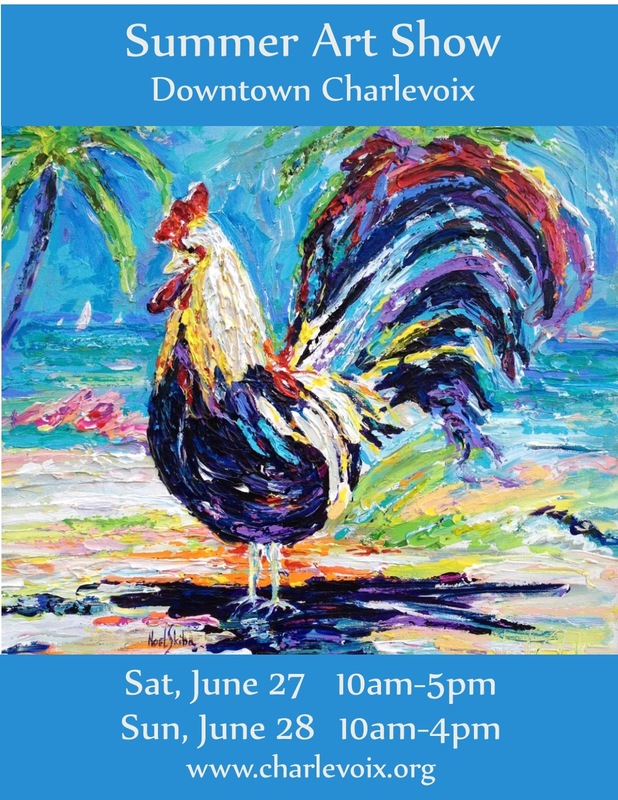 Explore the Cycling Salamander art gallery and 3 acre sculpture garden! The gallery features the paintings and sculptures of resident artist, Lena Dorey as well as the works of 30 other Michigan artists. 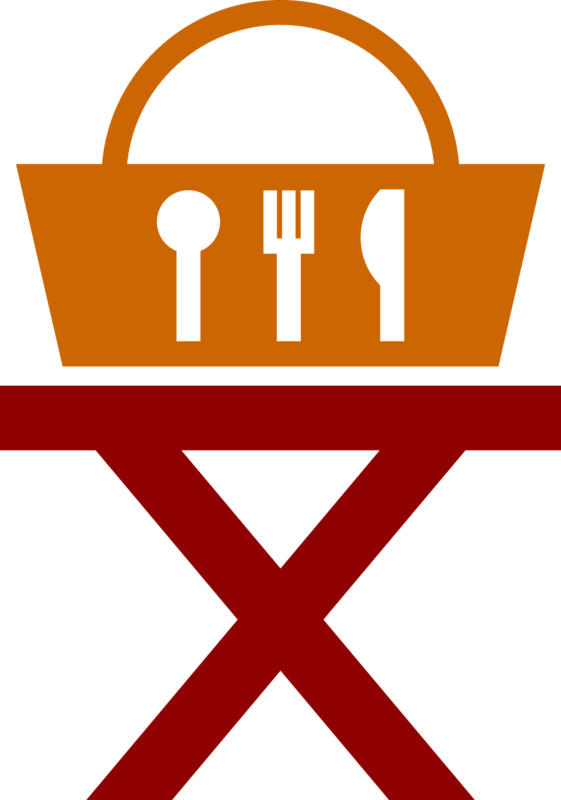 Functional pottery, jewelry, etchings, sculpture for the home and garden, and more. Visit the link above for more information! 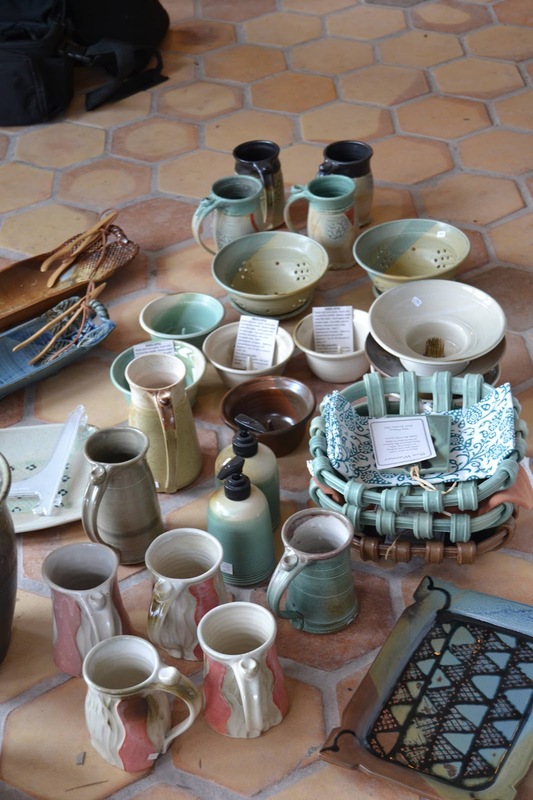 Stop by Otis Pottery where you will find a collection of handmade functional and decorative woodfired, gas fired, and electric fired pottery in all shapes and sizes! Visit our studio to find the perfect gift or piece for your home! Featuring thrown and handcrafted works fired right on site. Visit the link above for more information! Take a stroll through the beautiful Stonehedge Gardens and gift shop! 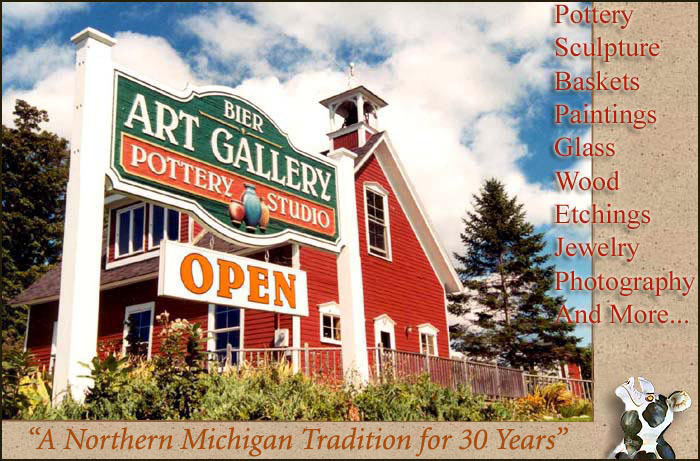 Take one of these Michigan made treasures home with you: birdhouses, bird baths, wind chimes, stained glass, purses, soaps, honey, maple syrup and so much more! Visit the link above for more information! 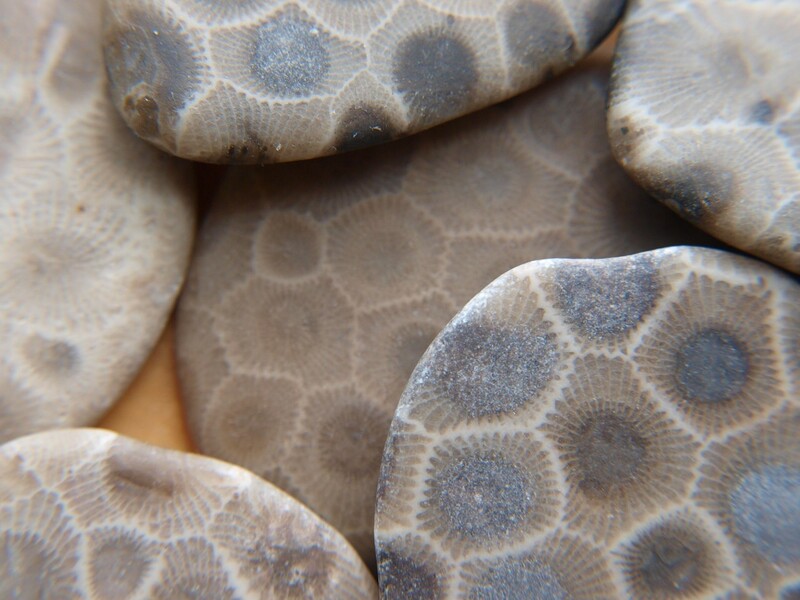 You've heard the stories and tales of these popular stones, or stumbled across one at the beach wondering what type of fossil it is. 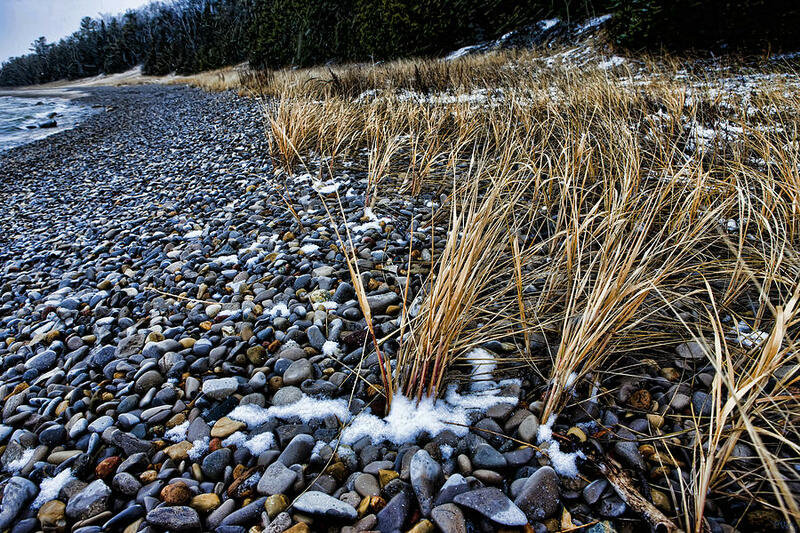 These stones have had quite a unique history long before the dinosaurs roamed the earth, and their name is tied to Native American legend and folklore. They are no ordinary fossil. 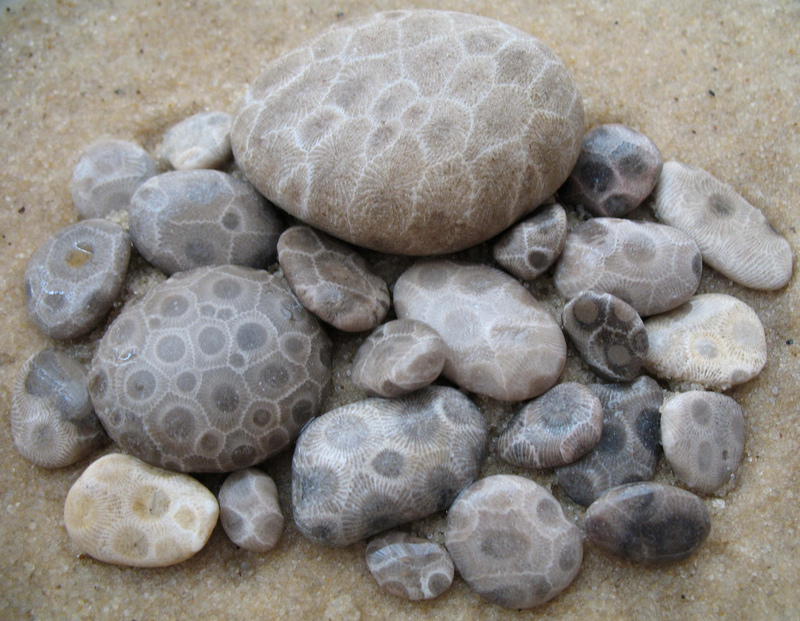 What is a Petoskey Stone? 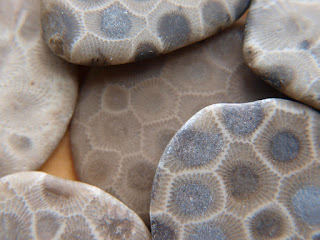 A Petoskey Stone is a fossil of colonial coral. 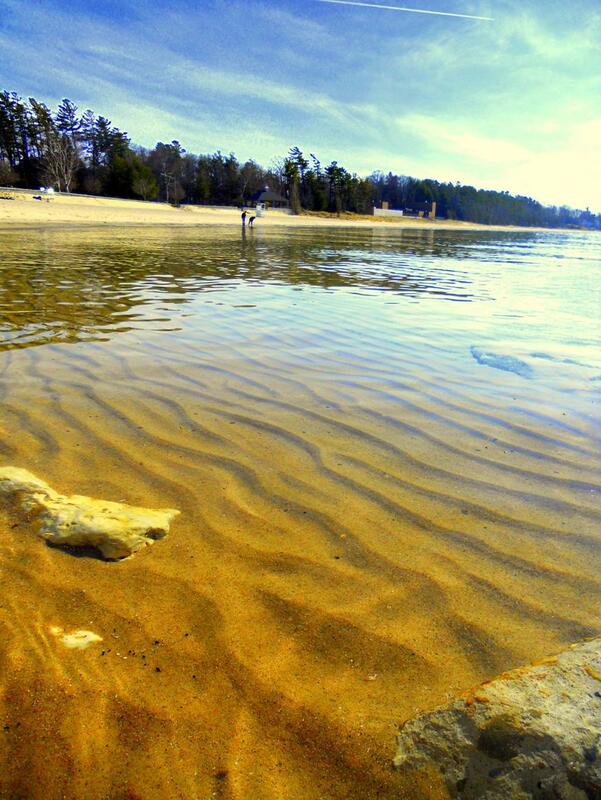 These corals lived in warm shallow seas that covered Michigan during Devonian time, some 350 million years ago. Michigan, believe it or not, was located at the equator. 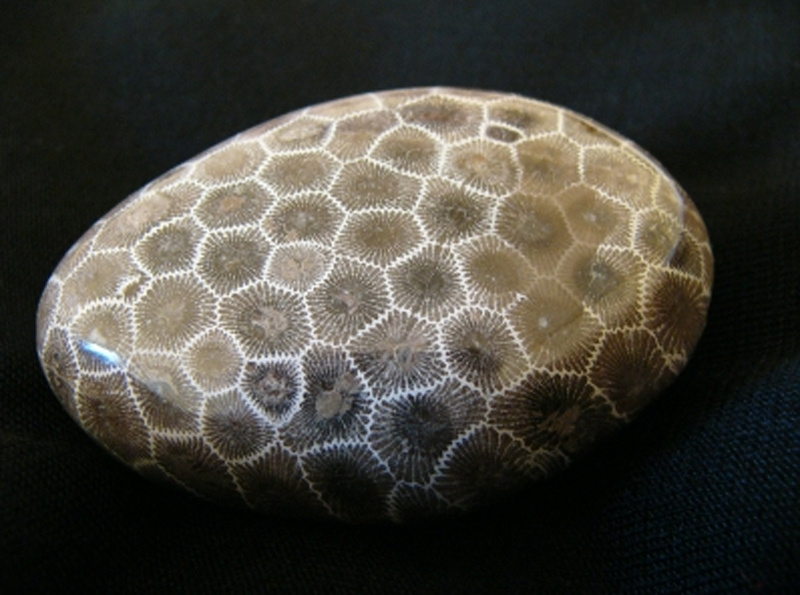 The Petoskey Stone, or the hexagonaria percarinata, thrived with the marine life in tropical reefs. 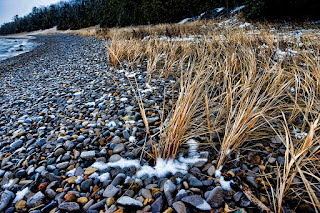 Earth's plates moved Michigan up to the 45th parallel, where it is located today, and glacial movement spread the fossils across the northern Lower Peninsula with the most concentration in the Petoskey area. Hexagonaria percarinata consist of many six-sided corallites, which are the skeletons of the coral polyps. The center of each polyp was the mouth for the tentacles that reached out for food. Its hexagonal shape, thin lines, and the dark "eye" at each center are distinguishing characteristics of Michigan's official state stone. 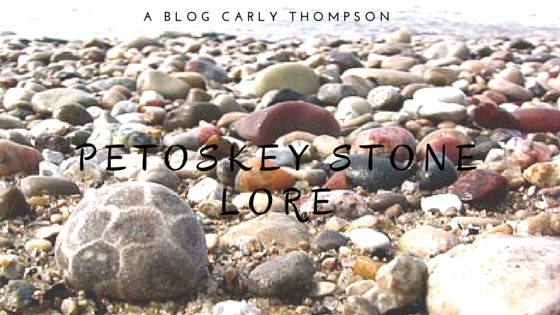 The name Petoskey originated late in the 18th century stemming from an Ottawa Indian legend. 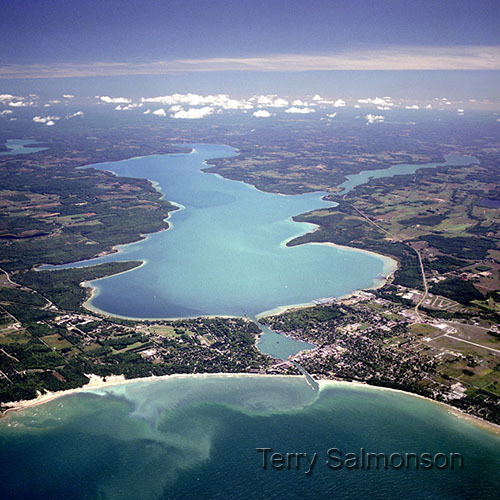 According to the legend, a descendant of French nobility named Antoine Carre visited what is now the Petoskey area where he met and married an Ottawa Indian Princess. A son was born to the couple in the spring of 1787 As the sun rose, its rays fell on the face of the new baby. Noting the glorious sunshine on his son's face, the Chief proclaimed, "His name shall be Petosegay (or Bedosegay, there are several versions). He shall become an important person." Petosegay did indeed become an important figure in his lifetime acquiring much land and stature. 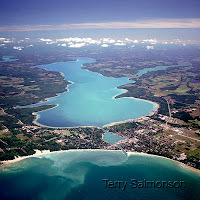 He married an Ottawa Chief's daughter and had two daughters and eight sons and then had a city named after him which we know today as Petoskey (an English adaptation of his name, Petosegay). The Petoskey Stone can be found of course on the beaches of Petoskey and polished in gift shops, but Charlevoix's beaches are also home to the ancient treasures as well. Stop by The Treasure Chest gift shop on Park Avenue in Charlevoix to purchase polished stones and check out their new Petoskey Stone room! Information for this blog was found courtesy of the Michigan Department of Environmental Quality (MI DEQ), Geological Survey Division (GSD) and www.petoskeyarea.com.